Earlier this month, Lunice released his debut album CCCLX. 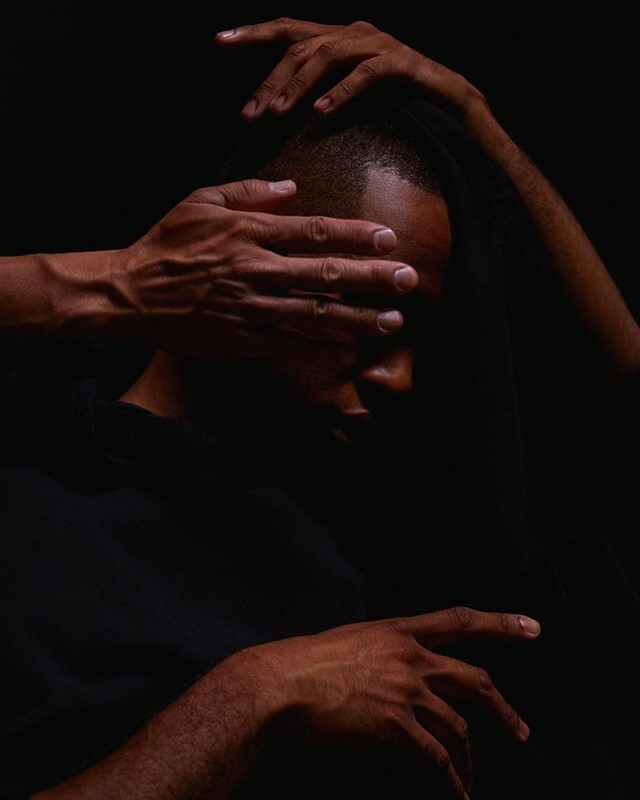 Longtime fans of the Montreal producer born Lunice Fermin Pierre II will recognise its most amped-up moments either from Lunice’s stellar EPs for LuckyMe or, perhaps more famously, from his work with TNGHT, the currently dormant (though rumoured to be returning) duo he forms with Hudson Mohawke. What they might not expect, however, is the more cinematic, atmospheric sound that Lunice has developed. CCCLX – titled after the Roman numerals for ‘360’ – was envisioned as a soundtrack for a theatre piece that doesn’t exactly exist, and it has all the high drama that you’d expect from those origins. It has a wonderful sense of movement, in many senses of the word: the tracks have a physicality and forward momentum, while the album is quite literally separated into movements like an opera. Still, Lunice hasn’t forgotten his rap roots, and a slew of collaborators – from Denzel Curry to Le1f to local stars like Quebec’s Speng and CJ Flemings – bring the record alive. That’s before behind-the-board partnerships with artists like SOPHIE and S-Type are taken into account, too. To celebrate the album’s release, Lunice put together our latest Dazed Mix, which he bills as a logical extension of his album. When Lunice DJs, he puts all his energy in, so maybe watch this with the sound off (and pretend he’s bouncing around your living room when you listen. (Alternatively, watch this and pretend he’s doing interpretive dance.) We hit up Lunice to find out more about the mix and to see how he’s feeling with CCCLX out in the world. Hey Lunice. How’s it going? Lunice: I’m great! Feeling relaxed, zen, and focused. How’s the reaction to CCCLX been? Have you noticed any listeners latching onto elements of the album you maybe wouldn’t have expected them to? Lunice: It’s been a total surprise! To be honest, one can’t plan the exact success of a project because it’s really up to the public’s decision, so I’m very grateful to see people catch on to many themes on the album. Just the fact that people were willing to wait five years in this time and age – of the internet and fast-moving information – is a huge thing for me. So I hope to further explore a more intimate communication line between me and the people who are into my work. CCCLX shows off your skills not just as a producer but also almost like a curator or an A&R, bringing together a bunch of (sometimes disparate) guests and making it all flow seamlessly. How do you know when a particular artist is right for a particular track? Is it just a gut feeling? Lunice: This whole realm of curation and producing is still very new to me, but I’ve come to realize that I absolutely love bringing like minded creatives together. It becomes the perfect platform for sharing information, life philosophies, sounds, etc. Also, I’m a very easy guy to work with, so the collaborative energy flows naturally. But I think the biggest factor in all of this is that I grew up with my features – all my features on here I’ve known for a minimum of four years. Do you think there’s any one track at the album that hints at something you’d want to try more of in the future? Lunice: The last part where things lighten up on CCCLX – ‘IV (Black Out)’ is a hint of where things may go in the future. Not the exact sound per se, just more the atmosphere of the second part is what intrigues me to look more into it. What’s going on in this Dazed Mix? Lunice: Memphis tapes and Screwed Up Click influences, because that’s what I used to play at my high school radio station and the whole school hated me and my best homie (Kevin Ly) for it, haha. He introduced me to that whole sound and it’s been apart of me ever since. Is the mix an extension/companion to the album in any way? Lunice: Completely. The mood is pretty similar to the album and to how my live show starts. It almost all interconnects. I start my show with the intro organs of Graveland’s ‘Dark Dusk Abyss’ – and that’s a Pagan/Black Metal group, but the sonics of it are so theatrical and dramatic. You’re famously very visual when you DJ, jumping around and dancing on-stage. So what should listeners be picturing when they’re listening to this at home? Lunice: They really can just close their eyes and go wild with their imagination. It’s really the wonder of being able to imagine is what I find the most important. So I hope they’re picturing anything from a cinematic car chase to a vaudeville puppet lookalike reenacting my whole set. What other rappers/vocalists/producers are you most excited by right now? Lunice: I’ve been super into the rappers of my city at the moment, like the ones featured on my album – CJ Flemings and Speng Squire. I’m also super into Flawless Gretzky, he’s got the streets going up right now, ha. As for a vocalist, I’ve really been into Reaper and his track ‘Three Thirty’. Lastly – what should a listener expect if they went to catch a Lunice show in 2017? Lunice: I hope they expect the feeling the wonder, surprise, or confusion. All of the above, I believe, are some of the first step into critical thinking.